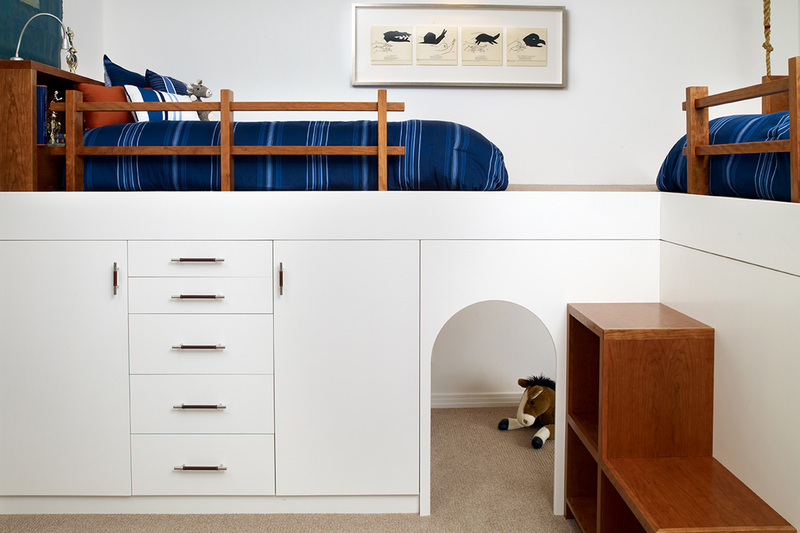 At least twice a month if not more, people ask us about these bunk beds we designed for our clients’ kid’s room. We receive emails from people inquiring if they can BUY these bunk beds, or if we sell a kit or floor plans to these two bunk beds we designed. Answer is NO, we don’t sell kits or floor plans to these specific Bunks because they were tailored specific to the room, space and client. 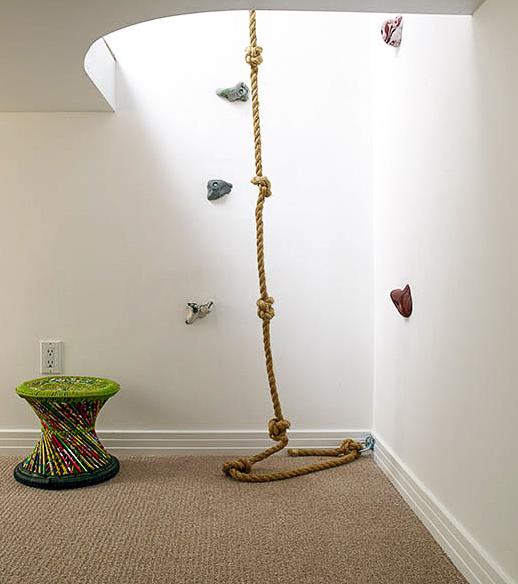 These spaces we designed have all the bells and whistles that took long hours designing and creating with our team, from the cool rock climbing wall to the hidden storage under the steps. 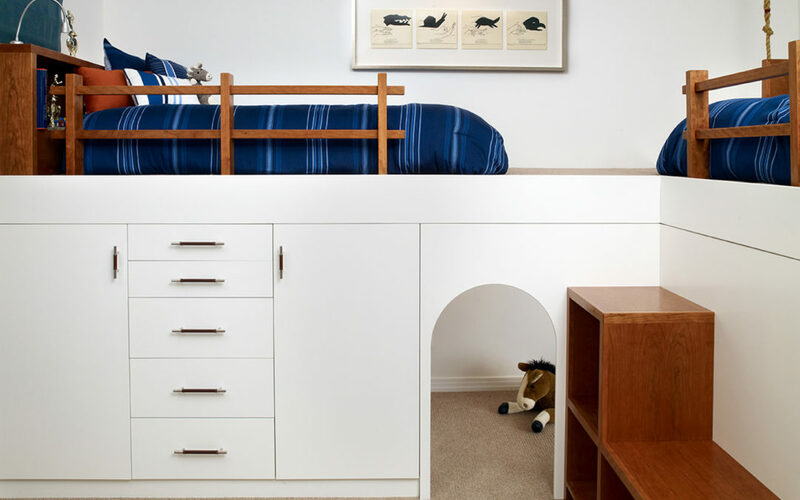 If you can’t custom design spaces like these with a designer, there are many companies out there that sell bunk beds with lofts and desks and other fun elements. Of course it is not the same as custom , but you can always make the room more exciting by adding personal fun touches with accessories, rugs, lighting, etc. 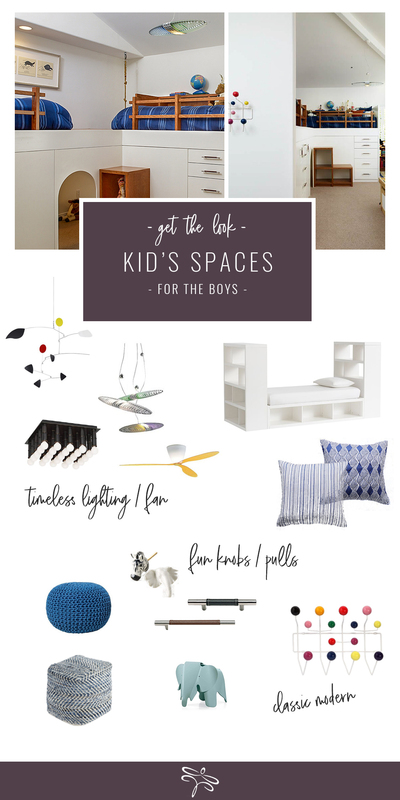 Here’s some design tips to help you create an excellent kids room along with some great items to shop. 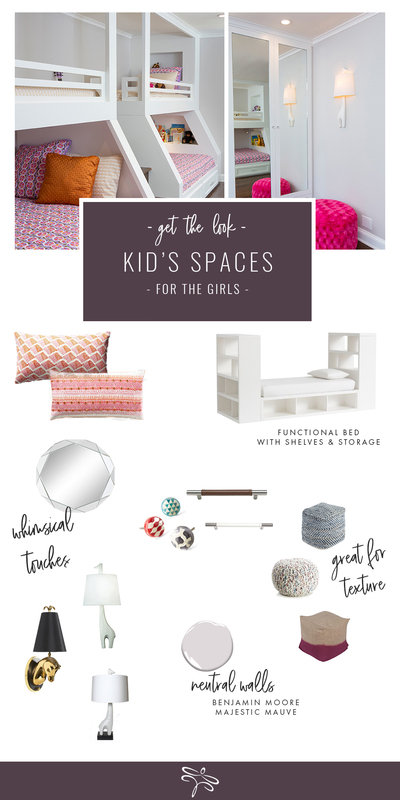 Kids spaces are FUN! However, you have to remember Kids GROW! They don’t stay little very long, so be sure to think about that and design with that in mind. Not only do kids grow, but families grow too – more kids, siblings, etc. So maybe you add trundles or bunk beds, and even if it’s an only child, they are also great for sleepovers. Have a place where you can HIDE some toys and games .. not everything needs to be on display. 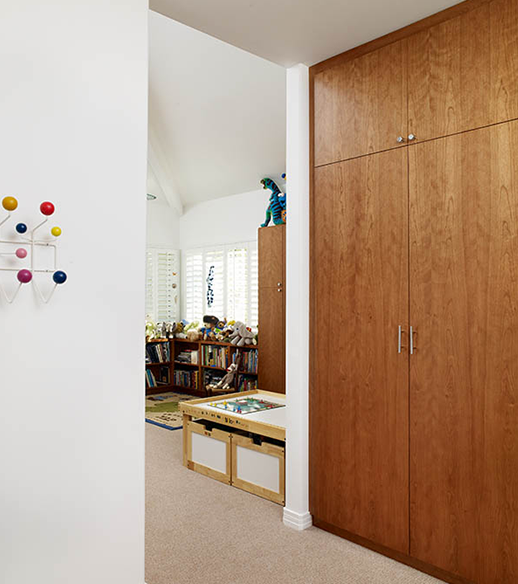 Low and accessible bookcases are great for kids and teens too! Also, use bookcases to create a fun little reading corner. FUN & Whimsical can be sophisticated too. Fun lighting goes a long way (see some items we shopped & included in our own projects!) Also, a cool, circular mirror with geometric accents adds a lot to a room while also being functional. 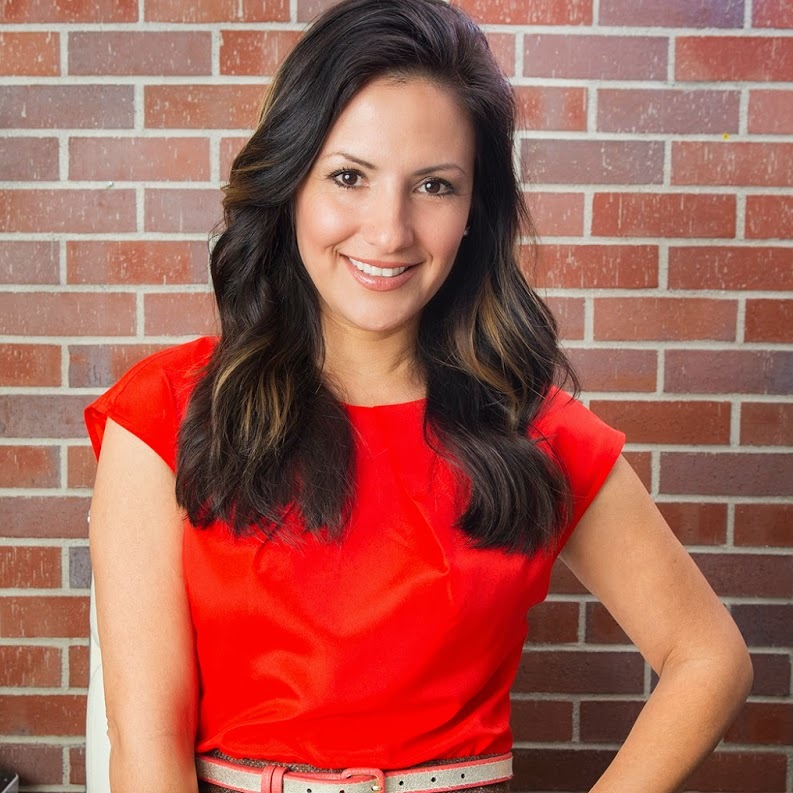 LOVE COLOR – However, If you want the room to age as the kids do. Do a neutral room (white or light grey or in this case a light mauve) allows us to change the bedding out and add new pops of color. 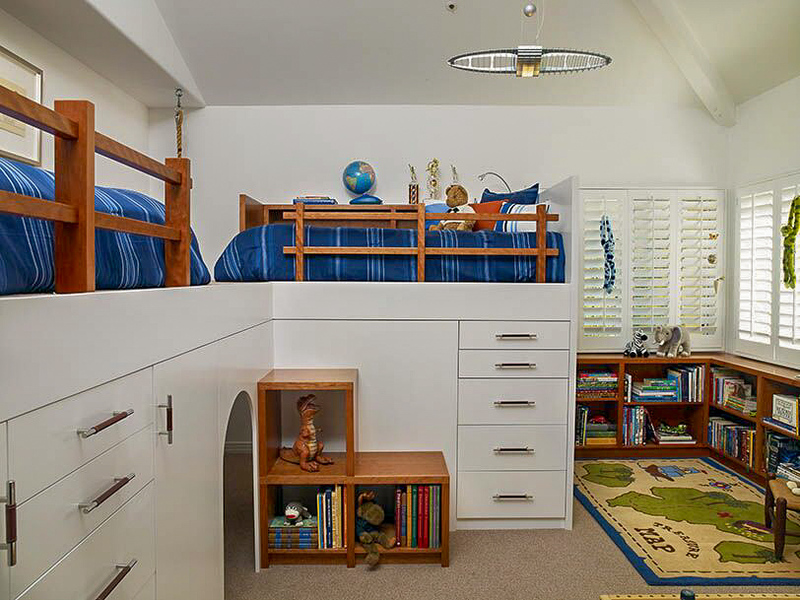 This way, the room has full flexibility as the kids get older and their styles change. 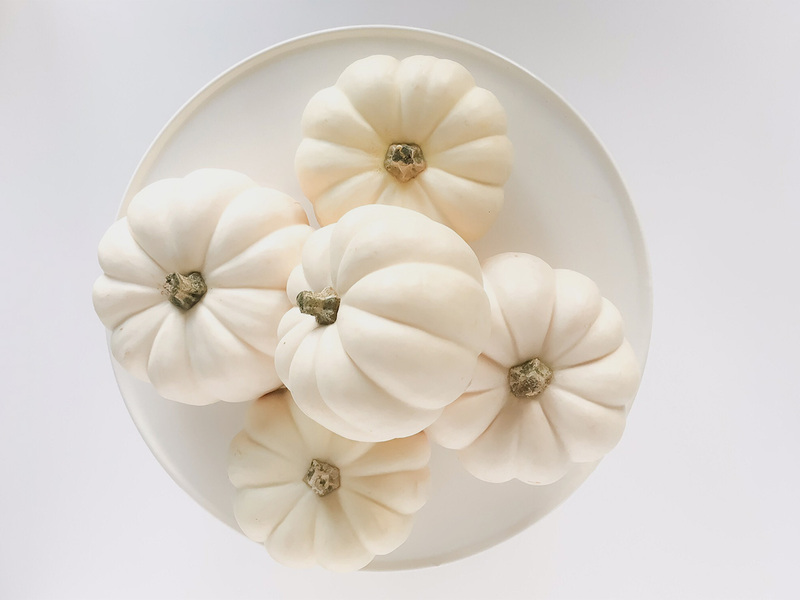 Color of the Year 2019 Inspiration from Lamps Plus Fall is Here!